I take full responsibility in not loading all the wonderful pictures that our student, Antoinette, took for us and now I can not find them to load. Technology is always a challenge for me and I will make sure I get the 11th. 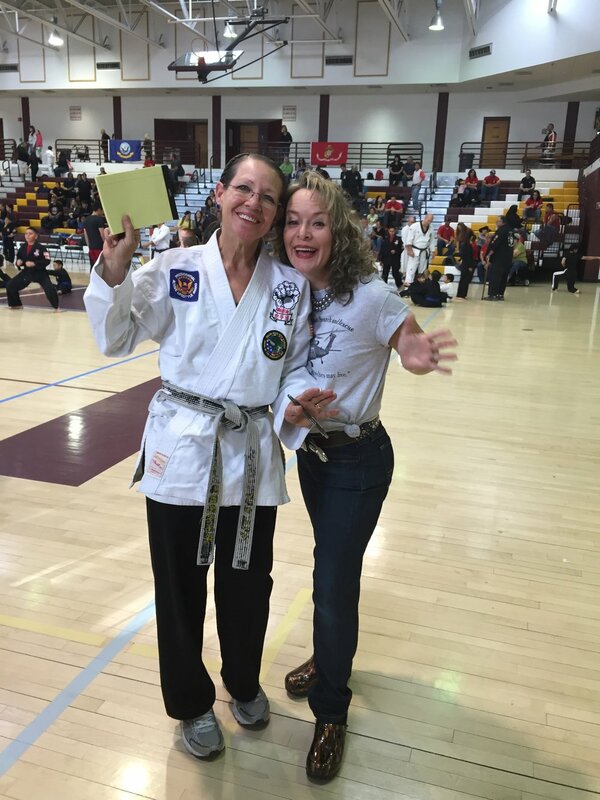 Captain Tamara Long-Archuleta Memorial Open Karate Championships October 15, 2016 added promptly after the event. Thanks to the generous business sponsors, competitors, families, and a pilot that graduated with Tammy from Helicopter school's donation, we were able to award SIX $500.00 scholarships this year! Thank you to everyone. this is a total of 44 scholarships and donation to the Girl Scout Summer camp bringing to a total of $27,000.00 we have been able to help others in Tammy's name. We are so thankful to be able to keep her memory alive in such an honorable way. Again, Thank you and look forward to seeing you in October, 2016. Belen Goju Ryu Karate started in May, 1988. Our purpose has always been to teach the most effective street self defense in all ranges of combat, along with traditional Goju Ryu Karate. Our students are taught to work hard to improve themselves physically and mentally. We expect students to avoid physical violence except as a last resort, and to be good citizens in their families, school, or work. Through consistent training at Belen Goju Ryu Karate students will develop a positive self esteem and self confidence, along with physical and mental strength to deal positively with daily life.